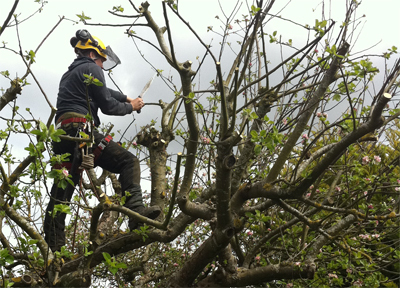 Welcome to Top Tree Services, our qualified professional Arborists work in Bristol and surrounding areas. We are an experienced and reputable Bristol based family run Tree Surgery Company. We undertake all aspects of tree work at competitive rates. Here at Top Tree Services, we consistently offer a reliable high quality service, with customer satisfaction at the forefront of the work we do. All tree services are completed in accordance with British Standards BS3998:2010 by NPTC Qualified Arborists. We offer a free advice and free no obligation quotation service by a friendly, qualified and experienced Arborists. To find out more about our tree services click here. We welcome enquiries from all customers, whether the work be a small residential job or a larger commercial contract. Commercial: We currently work for a range of commercial clients including: schools, nursing homes, community centres, charities, estate agents, building contractors, hospitals and housing associations. Domestic: Many of our domestic customers use our services year after year. We are open 6 days a week to offer flexibility when arranging quotations and work dates. Use the contact us form and we will get back to you to arrange a quotation at a convenient time. We are always friendly and accommodating, please don't hesitate to contact us whatever your enquiry. If we are up a tree when you ring, then please leave us a message and we will call you back as soon as possible. Thank you for taking the time to visit our website and for reading about our Tree Surgeon Services in Bristol.